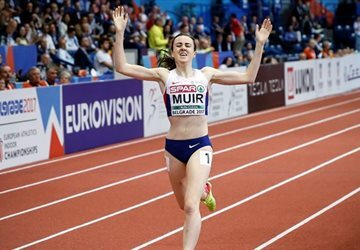 There are three more days before the beginning of the biggest athletics spectacle in the region, the European Athletics Indoor Championships, to be held from 3 to 5 March in the Kombank Arena, Belgrade. To our satisfaction, our best athletes have been winning medals at big competitions for the last couple of years, so it is time to do something for them in return - to “charge” the Arena with positive energy and applauses, thus helping them to outperform themselves. Twelve athletes will represent Serbia, starting from Friday 3 March. The first ones to enter the arena at 9:45 a.m. are Lazar Anić and Strahinja Jovančević in the long jump preliminary rounds. During their competition, Tamara Salaški will take part in the 400m heats at 9:45 a.m., followed by Miloš Raović at 10:20 a.m. Junior Milica Emini will run in the qualifications in the 60m hurdles at 12:45 p.m. In the afternoon programme, the women’s 1500m race is scheduled for 5:05 p.m. where we will see Amela Terzić; men’s 3000m is at 6:25 p.m. with our Dušan Mekević and at the end of the first day we are expecting Goran Nava in the men’s 1500m race at 7:15 p.m. 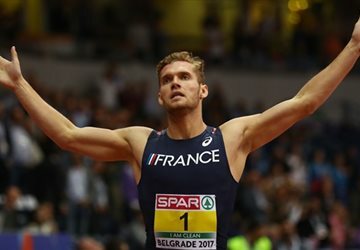 Besides our competitors, we will greet the biggest names of European athletics such as Ekaterini Stefanidi, an Olympic pole vault champion, European indoor vice champion and European outdoor champion; Ruth Beitia who is an Olympic high jump champion, triple European outdoor champion as well as a European indoor champion; Suzana Kalur, a world record holder in the 60m hurdles and a double European champion; and, from men athletes, Pavel Maslak, twice European and world indoor champion in the 400m. There is no doubt that our national team members will have tough competition in every discipline. We are inviting sports fans to come and support our athletes, enjoying the spectacle of the queen of sports live. The tickets for the Sunday programme have been sold out, but there are still Friday and Saturday tickets left at the EVENTIM ticket service spots.